Buy-to-let landlords: will setting up a company cut your tax bill? Following a raft of taxation changes, an increasing number of landlords are setting up limited companies to hold their buy-to-let investments. Will incorporating lower your tax – or will it cost you more than you save? With changes to tax relief threatening to eat into their profits, landlords are seeking a safe haven for their investment portfolios by setting up limited companies. But while there are savings to be made, the costs of investing in property as a business often outweigh the benefits. Here are the key things you need to consider before jumping in. Whether you’re a first-time landlord or an experienced investor, you can get advice on your mortgage options by calling Which? Mortgage Advisers on 0808 252 7987. How popular are limited companies? According to data from Countrywide, 20% of rented homes were owned by companies in the first quarter of 2017 – a record high. This trend is reflected by the growing number of mortgages on offer for business buy-to-let customers. Based on Moneyfacts data, the proportion of buy-to-let mortgages available to business borrowers increased from 10% in April 2016 to 19% in April this year. Why are landlords setting up companies? Many private landlords have interest-only mortgages. Until April this year, landlords were able to subtract their mortgage interest when working out their tax bill. As of this tax year, however, changes to the legislation mean landlords can only claim 75% of their mortgage interest – and this percentage will reduce each year until 2020. By April 2020, landlords will be required to pay tax on the full amount, less a 20% tax credit. This means that landlords who pay income tax at the higher rate (40% or 45%) will have to pay significantly more – and some basic rate taxpayers could be pushed into a higher tax bracket, depending on the income they make elsewhere. For more information on how the new regulations work, check out our full guide on mortgage interest tax relief. A landlord who pays tax at the higher rate lets a property for £950 per month (£11,400 a year), and has mortgage interest payments of £600 per month (£7,200) – a profit of £4,200. Before the changes, you’d only pay tax on the profit – meaning as a higher rate tax payer you’d pay £1,680. From April 2020, however, you’ll pay tax on the full £11,400 a year (minus a 20% tax credit of £1,440). This means your tax bill would be £3,120 – almost double. Landlords are also facing changes to their wear and tear allowance. Previously, owners of furnished rented properties were able to write off 10% of their annual rent from their taxable income, regardless of how much they actually spent on repairs and maintenance. From this year, landlords will only be able to claim for expenses they actually incurred. Mounting tax burdens have some landlords searching for an option to lower their costs. Many have turned to incorporation as their silver bullet – but there are a number of expenses that they should take into account. While the number of mortgage deals on the market are increasing for business buy-to-let customers, these deals are still more expensive than those available to individuals – and for some landlords, the extra costs could wipe out the benefits of incorporating. Indeed, according to data from Moneyfacts, the best available fixed-rate mortgage deal (by initial rate) for business customers is around 0.75% more expensive on a five-year fix, or around 1.5% more expensive on a two year fix. In many cases, mortgage deals for businesses also have higher flat fees than those for individuals. While you can offset tax on your mortgage interest as a business expense, you’ll need to pay corporation tax on your profits. If you’re moving your existing properties across to your limited company, you’ll need to take on new mortgages and pay the associated fees to set them up. You may also trigger capital gains tax and stamp duty, as you’ll essentially be ‘selling’ your properties to the new organisation. 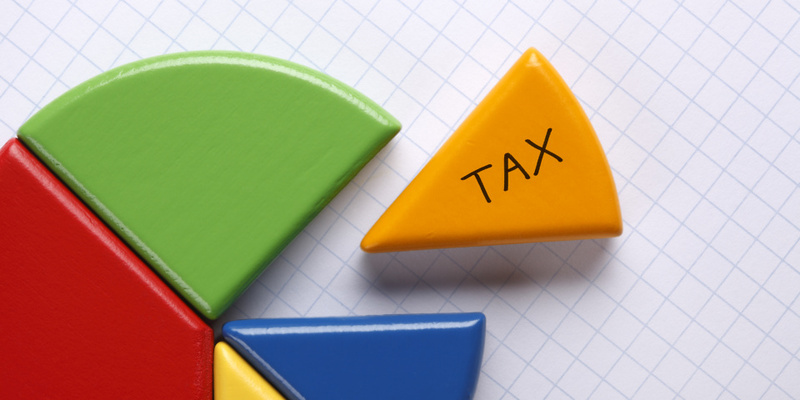 In some cases, capital gains tax could present you with a hefty bill. This tax applies unless you can prove the property is a business rather than an investment – which could be tricky, especially if you’re letting it out using a managing agent. You’ll also be subject to another stamp duty bill – including the extra 3% surcharge demanded of buy-to-let investors. Should you set up a company? Whether you should continue as an individual or set up a company will depend on your personal circumstances. With this in mind, we highly recommend that you take expert advice on the various taxation issues involved before considering setting up a company. In light of the additional charges and complexities involved with investing in property as a business, incorporating may be best reserved for landlords with large portfolios, rather than those with only a couple of buy-to-let properties.